Honeybee products, mainly propolis and royal jelly are becoming a basis for development of multipurpose multifunctional drugs, which means increased efficacy compared to previous high-specific synthetic drugs used in human medicine. High efficacy drugs are effective only for a small part of population; they have many uncontrollable side effects and can only be used in limited time. Honeybee products, mainly propolis, offer a variable composition of physiologically active compounds of honeybee origin and secondary metabolites of plants that can exhibit together interesting healing properties as results of synergic effect of all components. The aim of the work is targeted characterization of chemically defined compounds of propolis both honeybee and floral origin and study of their physiological properties separately and in complex. It was found that the water-soluble components of ethanol propolis extract inhibit the transcription of DNA-dependent RNA polymerase by eliminating its binding to the DNA promoter (1). Testing of antimicrobial activity of pinobanksin-3-O-acetate and pinocembrin purified from poplar propolis showed growth inhibition of Paenibacillus larvae strains, the major causative agent of American foulbrood of honey bee larvae disease (2). We present here pharmacological effects of honeybee royal jelly on the nervous system enhanced by flavonoid Nobiletin (3), applicable for prevention and/or delay of neurodegeneration in brains of patients with Alzheimer’s disease. Results are contribution to the practical usage of propolis and royal jelly in human medicine as well as in prevention of honeybee colonies against microbial diseases. ISNAD KATARÍNA, Bíliková , YOSHIHISA, Yamaguchi . "Molecular Characterization of Propolis and Royal Jelly Components as Tool for Study of Their Multifunctional Therapeutic Effects". 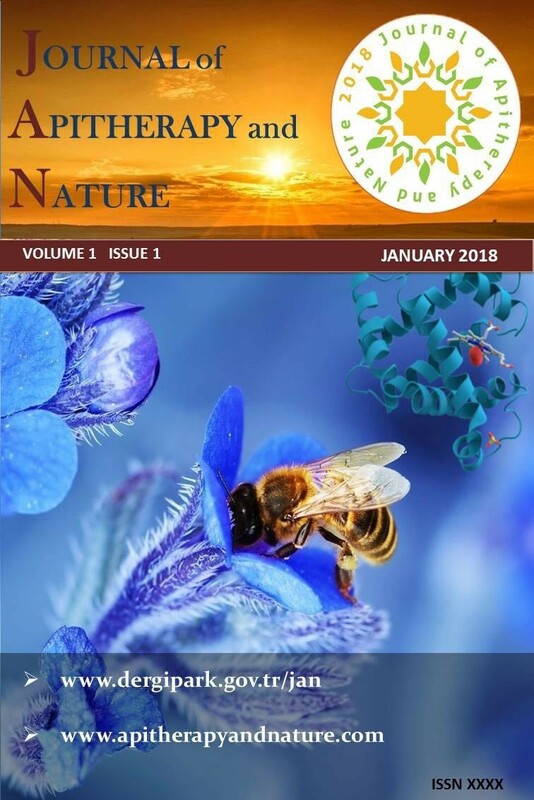 Journal of Apitherapy and Nature 1 / 3 (December 2018): 22-22.